Benedict Cumberbatch (Doctor Strange) is set to star in the new Cold War thriller Ironbark. The news was first reported by Deadline. The Emmy-winning and Academy Award-nominated British actor, who shot to stardom playing Sherlock Holmes on BBC’s Sherlock, will take on the role of a spy. 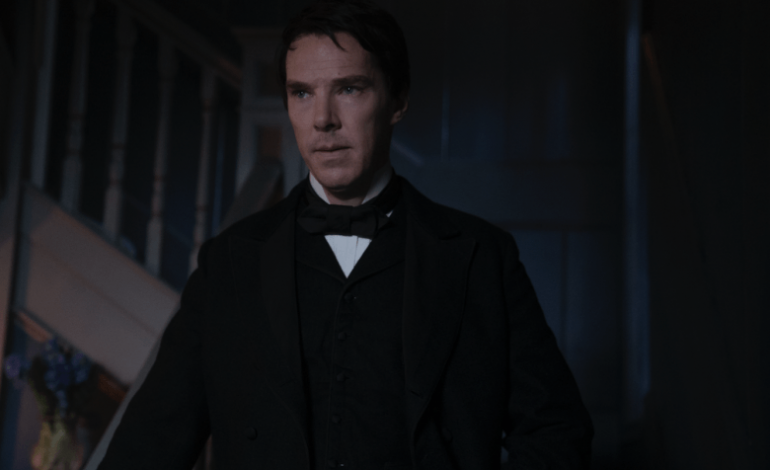 Based on a true story, Ironbark tells the story of Greville Wynne (Cumberbatch), a British exporter who often traveled behind the Iron Curtain for his business. He was recruited by the CIA to make contact with a Russian source, Colonel Oleg Penkovsky, a senior Russian military intelligence officer who was a goldmine of information about the Soviet nuclear program. The intel facilitated a peaceful resolution to the Cuban Missile Crisis. Dominic Cooke (TV’s The Hollow Crown) will helm from a spec script by Tom O’Connor. Ben Pugh and Rory Aitken will produce, along with Adam Ackland, SunnyMarch, and Film Nation. Executive producers are Cumberbatch, Cooke, O’Connor, Josh Varney from 42 and Leah Clarke of SunnyMarch. FilmNation Entertainment will debut the film at the upcoming Cannes Film Market. UTA Independent Film Group will handle U.S. sales. Cumberbatch can currently be seen in the box office juggernaut Avengers: Infinity War as Doctor Strange. He will star in Showtime’s upcoming series Patrick Melrose.